Bearings are circular, much like the economy they are used in. 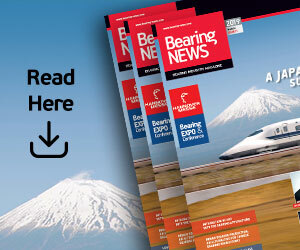 As more customers avoid disposing of bearings needlessly, Chris Johnson, managing director of bearing re-lubricator SMB Bearings, explains the sudden surge in popularity of reusing and recycling ball bearings through relubrication. Bearing relubrication has never been in such high demand. This process involves cleaning out bearing grease and replacing it with new lubrication. Manufacturers have long needed these kinds of services to fill new bearings with non-standard lubricants, but its prevalence of re-lubrication for older bearings is particularly striking. Returning resources for reuse, rather than the traditional ‘take-make-dispose’ approach, is gaining traction across all industries. Bearing relubrication is a great example of how this method benefits the customer. The process can revitalise bearings that may have already endured years of use, provided wear is very slight, and allows users to extend the lifespan of their bearings and reduce costs. With the right re-lubrication equipment, bearings can be restored for many more years of use. But, why would bearings require a change in oil or grease? It may be that the bearings have been stored for many years and the grease has exceeded its shelf life. This can happen when some of the oil leeches out making the grease less effective. Usually, the bearings are in otherwise excellent condition so relubrication restores them to an “as new” state. Alternatively, they might be re-serviced for an entirely different use. Take this as example. 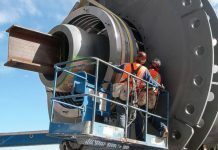 A bearing that once had relatively low levels of rotation in a slow-moving application, is set to be reused in an application that exposes the bearing to extreme temperatures. Suddenly, the old lubrication doesn’t meet the brief. In this instance, the bearing should be completely cleaned out and filled with grease that is rated to the required temperature. Previously used bearings should only be relubricated after carefully checking for damage or wear and even then, only used for non-critical applications. 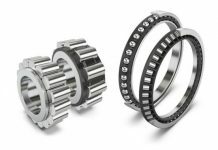 However, many bearing manufacturers simply aren’t interested in relubricating small volumes of bearings. Or, if they agree to the job, there are painfully long lead times. Ultimately, many bearing manufacturers prefer to focus on large order volumes. 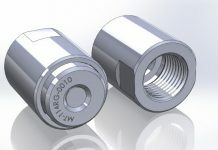 This can be problematic for customers requiring small volumes of bearings, particularly for use in niche applications. Luckily, SMB Bearings can relubricate even just a handful of bearings quickly. 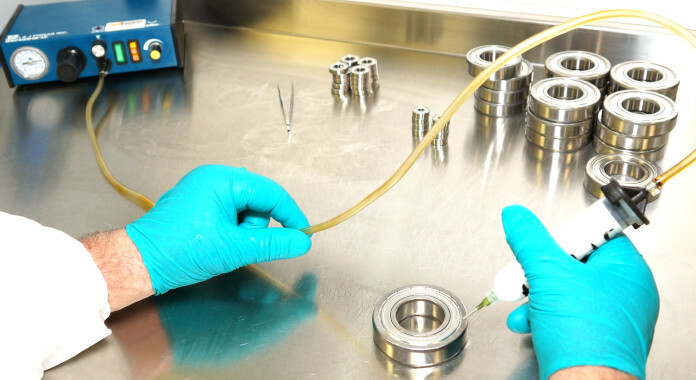 The re-lubrication service uses a range of bearing degreasing methods, such as ultrasonic degreasing, to clean bearing surfaces thoroughly. This process uses ultrasound, usually from 20 to 40 kHz, to agitate the fluid. Re-serviced bearings are then returned to the customer with any choice of oil, grease, dry lubricant or even no lubricant at all. This process can also accurately control the amount of grease used for re-lubrication. For example, the bearings may be filled with high-precision instrument grease and the amount can be varied, depending on customer requirements, to within a few milligrams, using highly sensitive weighing equipment. Maintaining this accuracy is not an easy task, particularly for shielded bearings. The right bearing re-lubrication provider should have the necessary equipment to carry out this kind of servicing without removing any shields or seals. There’s no doubt, relubrication provides a great deal of flexibility in terms of bearing re-use. With many different industries set to benefit from the cost-saving relubrication process, the savings are not just attributed to not buying brand new bearings, but also the reduced problems associated with incorrectly-lubricated bearings. As the masters of ultra-roundness, bearings certainly have their place in the circular economy. 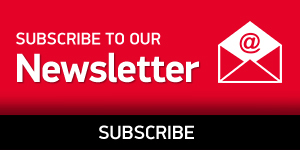 It makes sense that the demand for bearing relubrication is unwaveringly high at present ­– it can only benefit the environment and profit margins.